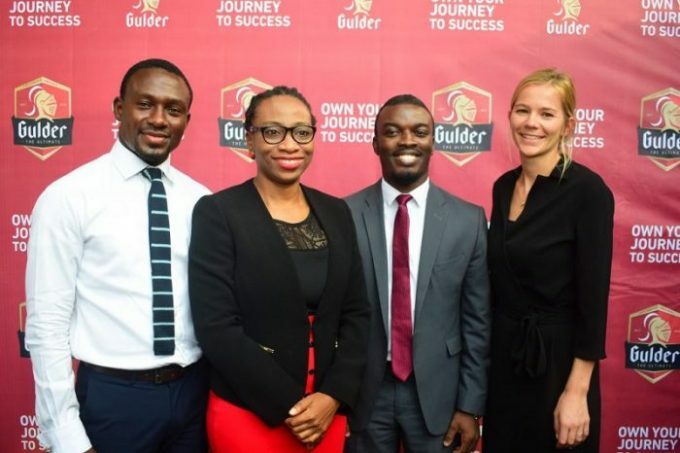 Gulder, a Premium beer brand from the portfolio of Nigerian Breweries Plc has announced a new brand positioning going into 2019. The beer brand in 2018, introduced its bold new label design. The new label design, showcases one of Gulder’s strongest brand assets, “The Gulder Knight”, which is faced forward giving the Gulder brand a more progressive outlook and a new tagline inspired by a fresh perspective themed “Looking Forward”. This change further cemented Gulder’s position as the drink for the modern man. Since its launch in 1970, Gulder has often set high standards, achieving various milestones during its illustrious years as the “The Ultimate Beer”. This often led to the brand being regarded as Nigeria’s most innovative beer brand. Now with its decision to urge consumers to “Own Their Journey”, Gulder is set to up the ante by challenging Nigerians to take charge of their quest for success and their proverbial journey towards achieving their personal and professional goals. Shedding more light on the new brand position, Marketing Director, Nigerian Breweries, Emmanuel Oriakhi, said, “Gulder is one of the oldest beer brands in Nigeria, and as we continue to evolve as a brand, we feel the need to continually redefine what Gulder represents. This is not a complete change of direction, we are simply crafting a narrative that allows us communicate our brand values better. We want to encourage Nigerians to be proud of their quest for success. As young Nigerians, we are all on a journey towards achieving our personal and professional goals. This journey is what we want to celebrate”. Reiterating, Portfolio Manager, National Premium Lager, Nigerian Breweries, Sarah Agha, stated that, “The theme of owning your journey is an incentive which will help individuals, and consumers have a good definition of their personal journeys in all spheres of their endeavours, encouraging them to own their journey to success and be the best version of themselves as they journey through life”. Am a winner of your current runing promo.I won a Total fuel card worth 2000 all my effort on activate it as proved abortive. I have my Total card with me please help me out.